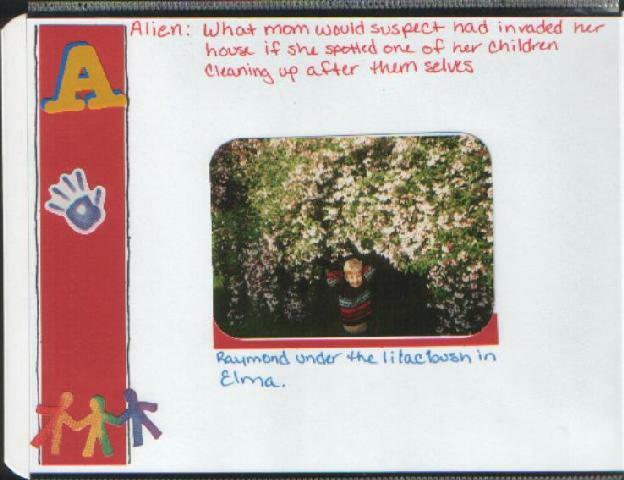 A-Alien, what mom would suspect had invaded her house if she spotted one of her children cleaning up after themselves. From an ABC list I got from dmarie. This book was done as a mother's day gift for my mother, the pictures don't really correspond with the letter, they are just pictures of myself and my brothers throughout the years.